When: Saturday, fan fest runs noon to 6 p.m. with show starting at 7 p.m.
Mark Henry's strength remains unquestioned. The Texas native, considered the world's strongest man at the height of his powerlifting career, parlayed that success into a lengthy run with World Wrestling Entertainment that culminated with his induction into the WWE Hall of Fame last week. His inner strength? He cultivated that from his childhood, when classmates teased him mercilessly due to his stature. Already 5 feet, 5 inches tall and 225 pounds in fourth grade, he recounted many insults hurled his way. Henry's anti-bullying stance made him the perfect fit for Brian Scott, a member of the Fort Wayne Community Schools PTA, the group sponsoring Henry's upcoming appearance at Heroes & Legends X, a pro wrestling show and fan fest, set for Saturday at the Memorial Coliseum. 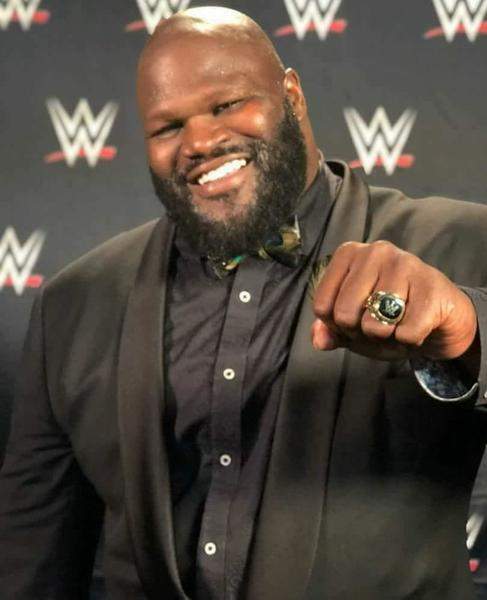 The fan fest runs from noon to 6 p.m., with bell time set for 7 p.m.
Henry, the most recent WWE Hall of Fame inductee of the six scheduled to attend, will donate proceeds from his autograph, photo and T-shirt sales at the event to the PTA's “Blessings In A Backpack” program. Scott, who has attended several Heroes & Legends events, developed the idea of bringing Henry to the upcoming fan fest alongside Heroes & Legends owner and Fort Wayne resident Jayson Maples. The duo originally connected after Portage Middle School brought Maples to the school to deliver an anti-bullying speech. Scott, a pro wrestling fan, heard about the speech from his son, who attended Portage at the time. Maples has since served as principal for a day at Portage on two occasions, helping him realize the impact of his initial message. With an HBO series titled “Random Acts Of Flyness” set to air in June, voice work for the animated shows “Pickle and Peanut” and “Amphibia” and a weekly appearance on Busted Open on SiriusXM currently on his plate, Henry plans to use the Heroes & Legends fan fest as a launching pad for his next life mission – helping those that help others.